Situated in the Mediterranean Sea is the beautiful island country of Cyprus. With 1.1 million residents, it is the third most populous destination of the Mediterranean. Cyprus offers you breath-taking nature, scenic beaches and incredible historic ruins. Its top attractions include Kato Paphos Archaeological Park in Paphos, Fig Tree Bay in Protaras and St. Hilarion Castle in Kyrenia. Get ready for a memorable experience in the Mediterranean, because cheap flights to Cyprus are now available for a limited time! Cyprus’s hub airport, Larnaca International Airport (LCA), is a quick 10-minute drive from the Larnaca city centre. Step back in time and get a glimpse into the story of Cyprus. 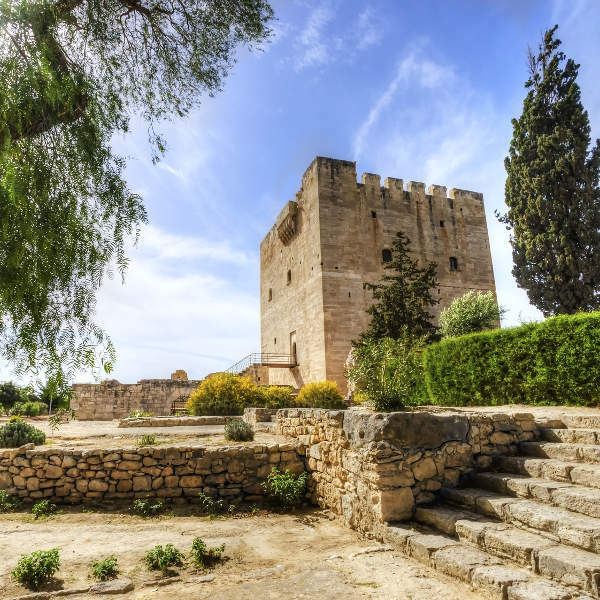 Major historic sites include the Kato Paphos Archaeological Park in Paphos, St. Hilarion Castle Kyrenia and the Kourion Archaeological Site in Limassol. 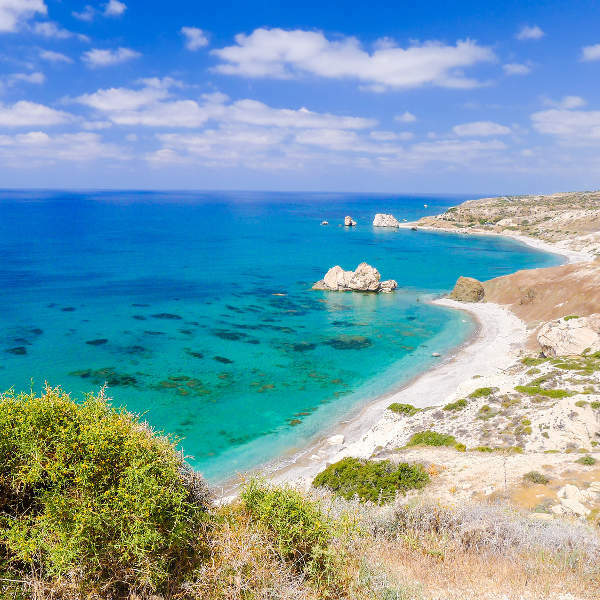 As an island in the Mediterranean Sea, it’s no surprise that Cyprus offers a wealth of stunning beaches, such as Fig Tree Bay in Protaras, Konnos Bay in Ayia Napa, Kourion Beach in Limassol and Aphrodite’s Rock in Kouklia. 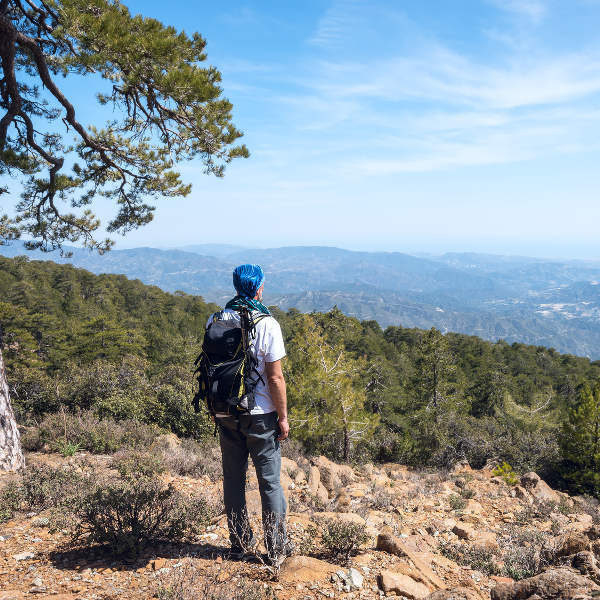 With the surrounding waters and varied terrain, Cyprus provides you with the perfect opportunity to enjoy many adventures, with activities and attractions including football, climbing, boat cruises, sailing, scuba diving, skiing and paragliding. The best time to enjoy the beaches of Cyprus is during the summer (June – August). Be prepared to pay high hotel costs and to share the beaches with plenty of tourists, because this is the peak tourist season in this island nation. Get pleasant conditions and good weather by visiting Cyprus during the shoulder seasons of spring (April – May) and autumn (September and October). You’ll find more hotel deals during these months and fewer tourists visit around this time. The spring and autumn provide ideal opportunities for enjoying the numerous mountain and nature trails around this country in the Mediterranean. For your next holiday, consider booking a flight to the eastern Mediterranean, in the gorgeous island nation of Cyprus. Discover a historically rich destination that boasts scenic beaches, wonderful nature trails and fascinating ruins. The magnificent capital, Nicosia, offers an exceptional scene, where you can immerse yourself in culture of the Greeks in South Nicosia and that of the Turkish in North Nicosia. The major attractions of this metropolis include its lovely variety of architecture, many art and history museums, and beautiful religious sites. Larnaca is a port city on the southern coast of Cyprus. It’s famous above all for Finikoudes Beach, an alluring stretch of clean sands near the city centre, bordered by the palm-tree-lined promenade. Other leading sights and sounds of this Cypriot destination consist of Zenobia Wreck and Kamares Aqueduct. Offering another coastal setting, Paphos sits on the southwestern corner of the island. Go for an adventure up in the hills and through lush cedar and pine forests. Discover amazing historic sites like the House of Dionysus and ruins like Agora & Oden. Don’t miss out on the nightlife, with many restaurants, bars and cafés on the beach. Compare several airlines and book your cheap flights to Cyprus online at Travelstart! Before you leave for Cyprus, make sure to get all the routine vaccinations. Check with your local health practitioner for more information. Additionally, depending on your activities in Cyprus, you may need to guard against other diseases such as hepatitis A (transmitted through contaminated food and water), hepatitis B (transmitted through sexual contact, contaminated needles and blood products) and rabies (transmitted through the bites of infected mammals, such as bats and dogs). Northern Cyprus is relatively safe. The cautionary steps you should take include avoiding talking about politics and disrespecting the local religion and traditions (Islam is the dominant religion). Simply observe the locals in the city and follow their lead. In Southern Cyprus, be careful of accepting drinks from strangers. Watch out for establishments being advertised as cabarets, since these could instead be brothels that are associated with organised crime.